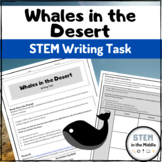 A two week long unit that includes comprehension questions for each chapter, two sets of vocabulary, and tests for each week. This work by Tara Ward or Tara Thompson-Ward is licensed under a Creative Commons Attribution-NonCommercial-ShareAlike 3.0 Unported License. 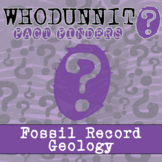 Fossils: This PowerPoint on The Fossil Record is geared to any Middle or High School Science or Biology class/grade. The purpose of this PowerPoint is to summarize the important information and concepts about the fossil record including: A. 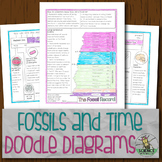 The different types of fossils and how to identify them B. 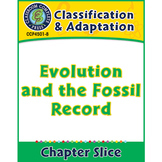 Aim: How does the fossil record provide evidence for evolution? 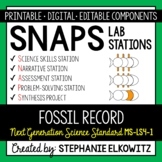 This activity is a great way to start out learning about fossils. I usually present the powerpoint and then have my students do this internet research. The link to the information is on the worksheet. I preload that site onto the computer, iPad, or whatever we are using to make it easier to find! 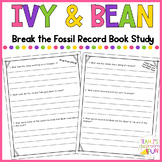 This resource is a novel study based on the story by Annie Barrows - 'Ivy + Bean' - Book One. It has many activities and comprehension skills that will make your students to enjoy reading this lovely book. Included in this packet are - 1. Prediction of story activities 2. Author study activity 3. 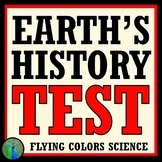 Sedimentary Layers and the Fossil Record helps students to identify connections between animals, the sedimentary layers they were buried in, and the habitats they lived in and their connection to the fossil record. Students continue to practice and develop higher order thinking skills.